The facilities of a marina are important; however, equally important is the staff. A boat owner should ask, “Are the marina personnel experienced enough to meet my needs?” This can become a crucial factor in the enjoyment of your boat. Besides our facilities, our greatest asset is our crew. The average tenure of our employees is over 25 years with some of our third generation family members being here over 45 years. If you have a boating question of any type, whether it is, “Where is a good place to cruise?” or, “What do I have to do to make my trailer road worthy?”, or, “How do I properly tune my mast?”, please don’t hesitate to ask us. 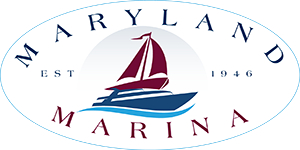 We are here to serve you and make your boating experience the best that it can be. Wayne’s exposure to the workings of a marina came well before his full time employment. He spent his pre-teen and teen summers doing whatever was needed at the time. This ran the gamut of selling ice and bait to cutting grass, picking up trash, repairing docks or making hamburgers, hot dogs and snow balls at the snack bar. He preceded his younger brothers into the business full time in 1966. This was concurrent with the re-emergence of the marina in new boat sales. By the mid ’70’s, he served as Sales Manager. With the retirement of his father, Ed, in the early ’80’s, Wayne took on the the role of General Manager. After spending his childhood around the marina, Brian came to work full time in 1980. Through the late ’80’s his area of responsibility was marina rentals. During his leisure time he would travel around the east coast on the powerboat racing circuit. In 1988, with the discontinuance of new boat sales, Brian was transferred to the Service Department as manager in charge of hauling and launching. He has a great deal of expertise in outboard and inboard/outboard engines. Like her younger sisters Amy and Heather and her cousins Michelle and Nicole, Chrissy spent many of her high school weekends and summers helping out around the marina. Her duties would range from cuttng the grass, to washing the charter fleet boats, to doing desk duty. In 1988, Wayne’s oldest daughter became the 4th generation of the family to work full time at the marina. Chrissy’s responsibilities lie in the Accounting Department as well as performing weekend desk duties. She enhanced our image with a new logo design and has developed and currently maintains our website and facebook page. We believe that “first impressions are the most important ones”. That is why the first person you are likely to meet or speak to on the phone will probably be Vicki. 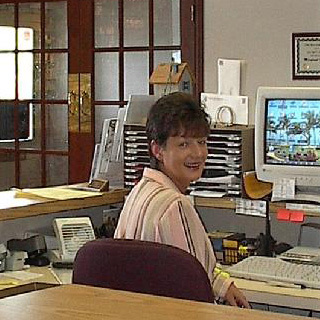 For over fourteen years, she has absorbed the knowledge to answer just about any question or direct you to someone on the staff who can. Hayden joined the Maryland Marina family in the fall of 2018. While not typical to hire team members at the end of the season, we wanted Hayden to build experience on our forklift and other equipment so he is ready for the season as our primary forklift operator. Hayden has proven himself to be a natural on the equipment and quite handy with repairs in his short time with us. 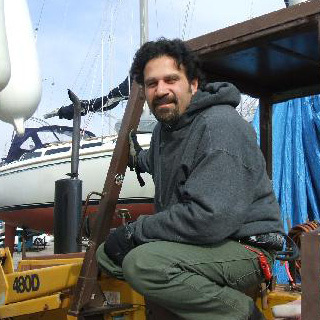 Not only has he built valuable experience operating the equipment, he has also been a valuable asset in our restoration projects in the marina this winter. Hayden is an avid sailor on his off time and also enjoys engine mechanics and working on his Hunter 30. 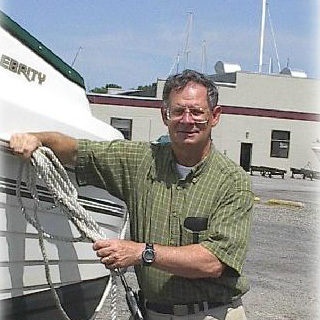 During his thirty-six years in the boat repair business, Joe has done just about any job there is to do on a boat, Some of Joe’s specialties include, custom woodworking and cabinetry, air conditioning and refrigeration, rigging, electronics installation and repair, custom fabrication and engineering, from propane lockers and systems to custom tank installations. He also is well versed in, advanced electrical systems, plumbing, and much more. Joe is well regarded in the industry as a master technician who specializes in the “tough jobs”. He is also known as a perfectionist, and often receives compliments on how clean and organized he keeps the boats while working on them. Joe has also customized and commissioned many new boats, such as, C&C, Cape Dory, J- Boats, Bayfield, Hunter, and Catalina. This gives him extensive knowledge of a wide range of system and engineering styles. He has also served as the service manager for two major service operations before returning to what he loves the most, which is being a hands on craftsman. However, you may deal with Joe from time to time when he covers for Brian when he is away. 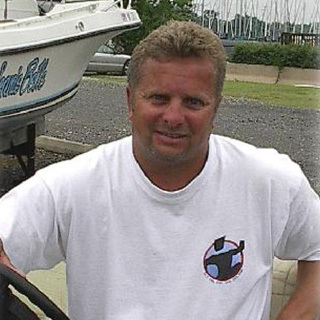 Joe has been with Maryland Marina since 2015. When not working, Joe, as a devout Christian, enjoys many activities at his church. He also enjoys, boating, trail running, gardening, cooking, motor cycling, and snow skiing. Joe and his wife, Carol, have four grown kids, Joey, Michelle, Anna, and Jane. Like his brother Brian, Mark spent his early childhood creating mischief and mayhem around the marina. Having spent so many years hanging around, he had the Maryland Marina culture of “If you can’t do a job right, then you shouldn’t do it at all” instilled in him. After graduating from school in 1979, he joined our service staff, full time. His initial training was in the hauling & launching of boats which, he still performs today. Mark also had an early interest in electro-mechanics, thus leading him to become an ABYC Certified Marine Electrical and Electronics Technician, the highest certification you can earn in the marine industry. This launched his status as the “Go to” guy for advanced electrical problems and electronic installations. Besides his electrical work and equipment operations, Mark performs maintenance on gas and diesel engines, winterizations, and general repairs and plumbing work. He also has knowledge and experience in commissioning new boats such as Catalina, Tierra, S2, and Capri. 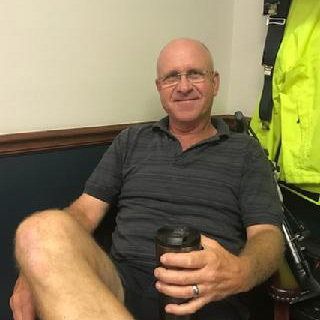 In addition to his work on boats, Mark keeps us running smoothly by repairing and maintaining all of the systems and infrastructure throughout the marina. Mr. “Low Key” won’t tell you how good he is. However, his work speaks volumes to his expertise and professionalism! When not working, Mark’s interests include, working and boating on his classic Chris Craft, he owns with his co-worker, Russ. He also enjoys RV camping and NASCAR. Until recently, Mark participated in organized Jet Ski racing. Antonio joined our service department in March of 2008 and shares with us his good-natured Italian hospitality. He does an outstanding job supporting the rest of our service crew. While spending several years working with his father, Russ acquired a great deal of expertise in structural and cosmetic fiberglass repair. His extensive talents also encompass gelcoat and awl-grip repair, and application. 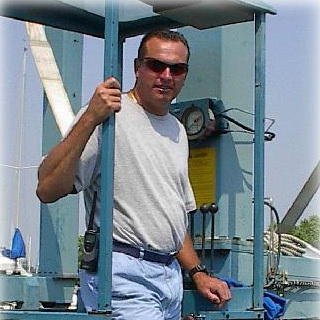 In addition, Russ’s repertoire of skills includes general mechanical and systems repairs, as well as operating all of our marina equipment. The quality of his work is second to none. 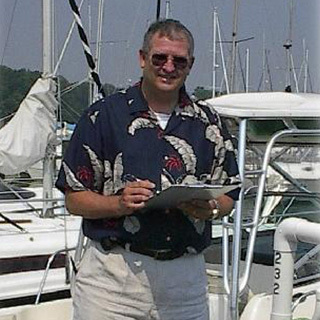 Russ has been working around the marina since the mid-1990s and joined our service staff full time in 2002. When not working, Russell enjoys working and boating on his classic Chris Craft, that he owns along with his co-worker, Mark. He also enjoys being a weekend musician, working on classic cars, and vacationing in Florida with his wife, Karen and their son, Royce. 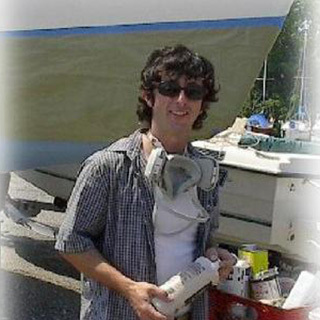 Like his cousin Wayne, Dave spent the summers of his youth in the business learning all the crafts associated with the proper way to take care of a boat. He is the senior member of our staff with 50 years of experience having entered into service in 1962. He spent his early adult years working along side his father Len, hauling and launching in the boating season and building rowboats during the winter months. He learned well one of the tenets of the company, “If you can’t do a job right, then you shouldn’t do it at all.” With the rise of the fiberglas industry in the mid ’60’s, Dave made an easy transition to this new technology. During the ’70’s he spent most of his time rigging and repairing new and used boats. In the early ’80’s he became Service Manager. Dave is now enjoying retirement but occasionally fills in for vacationing staff. Oscar officially became the longest tenured in a long line of “marina canines” as he approached an amazing 21 years of age. Starting with Tippy and Dawn in the ’40’s and ’50’s to Sugar, Molly Brown and Dawn II in the ’60’s and ’70’s to Bo Duke and Shannon in the ’80’s, Oscar made his home at the marina in the early ’90’s. 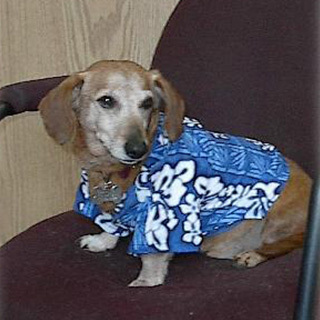 He is the first “office” dog and served as a greeter when he was on duty. Children (young and old) often made it a point to stop in and say “Hi” and give him a pat. 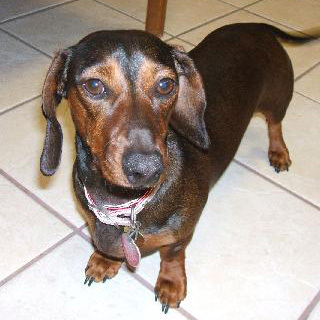 Sadly, Oscar passed on to his new life in doggie heaven in November 2009. We miss our “little man”. Isabel is the latest of the long line of “marina canines” to join our staff. Izzy has made many friends in her time here with us. 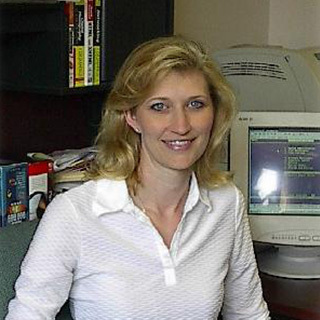 She took over Oscar’s position as Head of Customer Relations in April 2008. Izzy may greet you when you visit the office. She also occasionally does double duty as Head of Security if she’s in the right mood. She does her best to keep any trouble-making “big dogs” out of her office. © 2018 Maryland Marina. All Right Reserved.